Jonathan Landay is a reporter for Reuters covering national security. He previously worked for McClatchy/Knight-Ridder, the Christian Science Monitor, and United Press International. Landay partnered with Warren Strobel on a series of stories skeptical of the George W. Bush administration’s claims about Iraq’s weapons of mass destruction as justification for war; they received the Raymond Clapper Memorial award from the Senate Press Gallery for their work. Landay, Marisa Taylor, and Ali Watkins were 2015 Pulitzer Prize finalists for their work on the Senate Intelligence Committee’s report regarding the CIA’s torture programs. You can read his latest stories here. 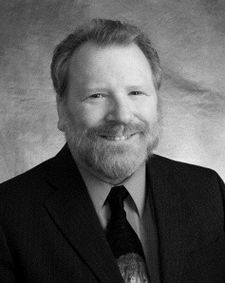 William K. Black , J.D., Ph.D. is Associate Professor of Law and Economics at the University of Missouri-Kansas City. Bill Black has testified before the Senate Agricultural Committee on the regulation of financial derivatives and House Governance Committee on the regulation of executive compensation. He was interviewed by Bill Moyers on PBS, which went viral. He gave an invited lecture at UCLA’s Hammer Institute which, when the video was posted on the web, drew so many “hits” that it crashed the UCLA server. He appeared extensively in Michael Moore’s most recent documentary: “Capitalism: A Love Story.” He was featured in the Obama campaign release discussing Senator McCain’s role in the “Keating Five.” (Bill took the notes of that meeting that led to the Senate Ethics investigation of the Keating Five. His testimony was highly critical of all five Senators’ actions.) 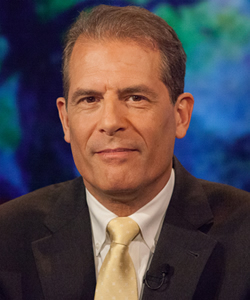 He is a frequent guest on local, national, and international television and radio and is quoted as an expert by the national and international print media nearly every week. He was the subject of featured interviews in Newsweek, Barron’s, and Village Voice. This entry was posted in Armed Forces, CIA, Civil Rights, Classified Information, Cost of War, Cyber Surveillance, Department of Homeland Security, Donald Trump, Economic Inequality, Economy, Greed, Intelligence, News And Analysis, Obama, Offshore Banking, Politics, Putin, Russia, The Economy, The Fed, The Market, Torture, Wall Street, War Reporting and tagged Donald Trump, Economy, Wall Street, War Reporting, Waterboarding. On The Monitor this week we take an extended look at the background of the terror attacks in Paris. What are the historical connections are future implications? Our first interview is withJ. Michael Springman and our second is with Christian Parenti. J. Michael Springmann was a career official with both the Commerce and State departments. He was economic/commercial officer in Stuttgart (1977–1980), a commercial attaché in New Delhi (1980–1982), a visa officer in Jeddah (1987–1989), a political/economic officer in Stuttgart (1989–1991), and, finally, an economic analyst at the State Department’s Bureau of Intelligence and Research (1991). He recently published the book Visas for Al Qaeda: CIA Handouts That Rocked The World. “Thousands of American soldiers and civil servants have lost their lives in the War on Terror. Innocent citizens of many nations, including Americans killed on 9/11, have also paid the ultimate price. While the US government claims to stand against terror, this same government refuses to acknowledge its role in creating what has become a deadly international quagmire. Visas for al-Qaeda: CIA Handouts That Rocked the World sets the record straight by laying the blame on high-ranking US government officials. During the 1980s, the CIA recruited and trained Muslim operatives to fight the Soviet invasion of Afghanistan. Later, the CIA would move those operatives from Afghanistan to the Balkans, and then to Iraq, Libya, and Syria, traveling on illegal US visas. These US-backed and trained fighters would morph into an organization that is synonymous with jihadist terrorism: al-Qaeda. In an interview published earlier this year, “Climate Change, Militarism, Neoliberalism and the State,” Parenti stated: “Syria is a prime example. There has been a terrible drought there, which coincided with austerity measures imposed by the Assad government cutting aid to Sunni farmers. Many of them were forced to leave the land, partly due to drought, partly due to the lack of support to properly deal with the drought. Then, they arrive in cities, and there’s more austerity taking place. This is experienced as oppression by the Alawite elite against an increasingly impoverished Sunni proletariat who’ve been thrown off their land. This entry was posted in 2001: Repercussions, 9/11, Afghanistan, Arab Spring, Arab World, Border Security, CIA, Classified Information, Climate Change, Cyber Surveillance, Department of Homeland Security, Empire, France, Gun Control, Hypocrisy, Iraq, ISIS, Islam, Islamic State, Morality, News And Analysis, Obama, Politics, Propaganda, Refugees, Saudi Arabia, Secularism, Sept. 11, Sept. 11, 2001: Repercussions, Syria, The "War on Terror", The New Middle East, The War on Terror, War Reporting and tagged Afghanistan, Arab Democracy, Boots on the Ground, CIA, Economic Inequality, Iraq, ISIS, Islamic State, Middle East, Syria. 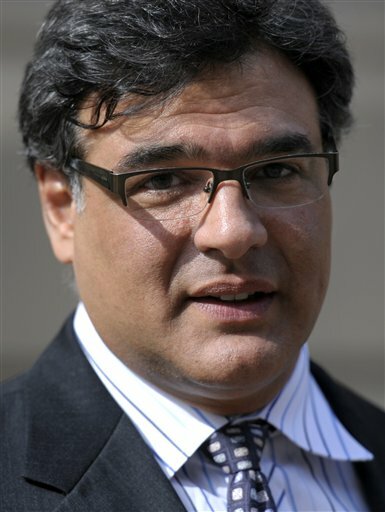 Egberto Willies, Steve Horn and John Kiriakou join us to talk about talk radio, Hillary’s state department emails, and Torture. This entry was posted in 9/11, CIA, Corporations, Cyber Surveillance, Democrat Corruption and tagged Clinton emails, Radio Shows, Torture. Is Google unfairly censoring internet content? We talk with Eric Garris of Antiwar.com. Jeremy Alderson was the editor and publisher of the No Frack Almanac, an anti-fracking newspaper pubished in New York. He was also the first person arrested of now more than 200 who have committed civil disobedience trying to stop the Crestwood gas-storage project. In Reading, New York, 2 miles north of Watkin’s Glen on the west shoreline of Seneca Lake, Crestwood plans to store millions of barrels of liquid petroleum gases (propane and butane; so-called LPG) in depleted salt caverns. Crestwood also plans to expand existing natural gas storage in the caverns through its wholly owned subsidiary, Arlington Gas Storage. As the corporation boasts to investors, Crestwood’s stated goal is to transform the Finger Lakes Region into a “gas storage and transportation hub” for the entire Northeast. Narrowly defined, the Arlington expansion project will fill two interconnected salt caverns—no longer used for mining salt—with compressed natural gas (methane), thus increasing the working gas capacity at this site by a third. But additional expansions are envisioned for the future, with many other empty lakeside salt caverns targeted. “Yesterday [Thursday] Google contacted us and told us that they had given in and would be restoring ad service to Antiwar.com shortly. “However, this morning [Friday] they contacted us demanding that we remove this article. This entry was posted in Climate Change, Cyber Surveillance and tagged AnitWar.com, Censorship, Energy, Google, Natural Gas.